The sales of agrochemicals in Brazil reached a total turnover of US$ 8.9 billion in 2017, according to data from the National Plant Protection Association (Sindiveg). The result represented a 7% drop in revenue, compared to 2016. This is the fourth consecutive drop in the agrochemicals sector in Brazil since 2014, when the companies invoiced US$ 12.3 billion. Since then, revenues from the agrochemicals industry have dropped to US$ 9.6 billion in 2015 and US$ 9.5 billion in 2016. As in 2015, the factors that contributed to the decrease in the sales value were the strong devaluation of the Real against the US dollar, and the increasing use of illegal products, whether they are clandestine, stolen or even false. 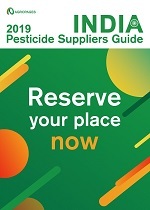 There was also the emergence of new technologies of control and integrated pest management. According to Sindiveg, forecasts were confirmed for 2017, which projected an increase in illegal products, high inventories and the risk of default in payment. The highest sales volume in 2017 was in the herbicide segment, with US $3.1 billion, or 35% of the total (considering selective herbicides for specific and non-selective herbicides). 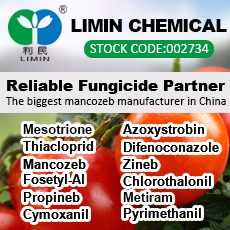 Fungicide sales totaled US$ 2.4 billion, or 28%, and insecticide sales, US$ 2.37 billion, or 27% of the industry's sales. More than half of the industry's revenue came from sales to soybeans – 52% of the total, or US$ 4.6 billion - in the previous year, which had reached US$ 5.3 billion. Sugarcane comes in second place, accounting for 12% of the sales in the defense sector, or US$ 1.04 billion. Next comes corn (10%), with US$ 945.6 million; cotton (7%), US$ 599.1 million; and coffee (3%), with US$246.5 million. The main consumer state of the input was Mato Grosso, which purchased 21% of all pesticides sold in Brazil, worth US$ 1.8 billion. São Paulo was the second largest buyer of agrochemicals, responsible for 15% of the sector's sales, or US$ 1.3 billion. In third place was Rio Grande do Sul, with 12% of the business, equivalent to US$ 1.08 billion. Paraná, Goiás, Minas Gerais and Mato Grosso do Sul appear in the ranking of the states, where most defensives were sold. The statistics for the sales of agrochemical companies show that the first ten places concentrate US$ 7,167 million in sales, which means they hold no fewer than 80.52% of the total Brazilian market. The result represents a slight drop of about three percentage points, compared to 2016, when the top 10 companies accounted for 83.20% of the market. 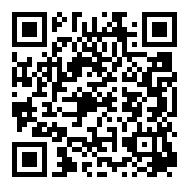 (**) The fiscal year of CCAB starts in July 1st and ends in June 30th the following year. "When the market is dominated by a few competitors, we call it the oligopolies market phenomenon. And when this oligopoly becomes stronger, restricting even more space for other competitors, what should we call it? 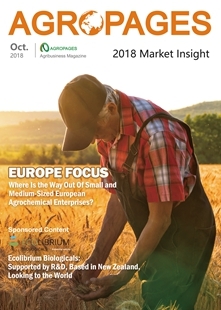 For it is precisely what is happening with the Brazilian agrochemical market, by the way, one of the largest in the world, "says Tulio Teixeira de Oliveira, executive director of Aenda, the National Association of Agricultural Defensive Agencies. Syngenta's lead in sales of agrochemicals in Brazil remained, in spite of a drop in sales of US$ 230 million last year, compared to 2016. 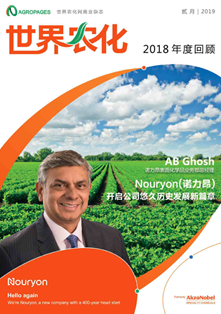 In the second year after the acquisition of the company by ChemChina, Syngenta consolidated its position in the first position of the ranking, with some product launches, but mainly the bet on startups and agtech companies, reinforcing the idea of sustainability through technology and integrated solutions. Among the largest companies, Bayer was the company that had the biggest drop in sales, decreasing US$ 699 million compared to 2016. It was a transition year between the announcement of Monsanto's purchase intention and business release processes. In order to justify a drop in sales, the company explained that this was because stocks in Brazil were "unexpectedly high" and that this undermined performance throughout Latin America. According to Bayer, disregarding performance in the Brazilian market, Bayer's adjusted sales would have grown 3% worldwide in 2017. After seeing the biggest drop among large companies in 2016, third place BASF recovered and was one of the few that increased its revenues in 2017, selling US$ 86 million more, compared to 2016. 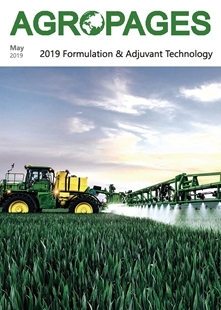 According to BASF, significant growth occurred because the company was able to "further increase its profitability" by establishing "a vital foundation for the future development of our company - both in terms of people and strategy," said Dr. Kurt Bock, President of the BASF Board of Directors. In fifth and sixth places are companies that have lived through a year of mergers of operations: Dow joined DuPont after the approval, in the first six months of 2017, of the business by CADE - the Brazilian antitrust regulator. Both companies had a drop in revenues as distribution channels continued to see high inventories. According to DowDuPont, these problems were partially offset by the launch of new products, including the Vessarya fungicide and the Leptra maize hybrid. 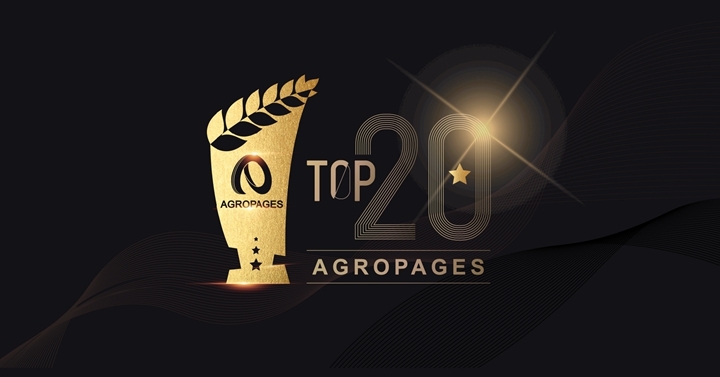 Nufarm, UPL, Adama and Monsanto complete the TOP 10 of the largest agrochemical companies in Brazil. Among these, the only one that recorded a drop in sales was Monsanto, which already anticipated being acquired by Bayer. Nufarm announced during 2017 that it would bet on Brazil. "In Brazil, we see opportunities, especially in corn and soybeans, but we have grown a lot in pasture protection, as well," said Greg Hunt, CEO of Nufarm, on a visit to the Brazilian headquarters. 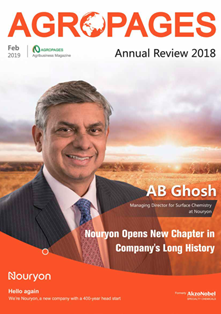 A similar strategy came from India's UPL, which concentrated investments in its Brazilian subsidiary and announced several launches of specific seed treatment products in the country. Rogério Castro, CEO of UPL in Brazil, announced in 2017 the brand name fipronil-based insecticide "Start", which was the first of a large portfolio of the company for the segment. Tulio Oliveira, from Aenda, projects an even more concentrated scenario for the future, when mergers have all materialized, and the agrochemicals market in Brazil will have only five large companies holding more than 70% of the market: "These nine hegemonic companies will only be five in 2019. There was a merger between Dow and DuPont and now Bayer bought Monsanto. 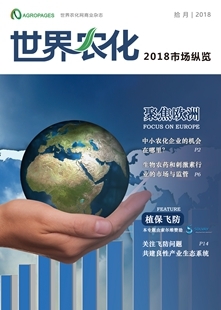 Syngenta and Adama, although with separate structures, represent only one - ChemChina. A little earlier, the FMC captured Cheminova and, more recently, acquired the government-defined share in the Dow-DuPont process. Therefore, the companies that own 70% of the Brazilian market for phytosanitary products will only be Bayer, Syngenta / Adama, Corteva (Dow / DuPont), BASF and FMC.